Nat’s One-Sentence Synopsis: Two diverse families brought together by marriage find themselves struggling to navigate the rocky shoals of tragic loss and grief before the wedding celebration even has a chance to begin. 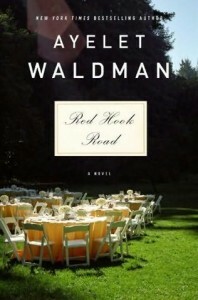 Red Hook Road is one of my favorite novels this year, and I can’t wait to read the rest of Ayelet Waldman’s oeuvre. Her writing is so beautiful and honest–I felt as if she was relaying the story of an actual family instead of characters and a storyline that she created in her own mind. The loss in this book wasn’t easy to take–it was tragic and senseless–not an easy read by any means, but the novel was redemptive. There were losses on so many levels, but the characters changed and grew as a result, so the tragedies weren’t just for the sake of the plot. 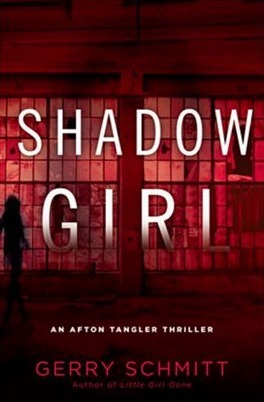 I savored this book but could only read it a few chapters at a time. Waldman doesn’t rush the story and almost encourages readers to take time with the characters. She offers accurate and well-researched details on her characters’ passions and hobbies. From rebuilding an antique wooden sailboat, to boxing, to the life of a violin virtuoso and his young protege, Waldman’s attention to detail is part of what makes this novel so believable. The ending of the book was a bit melodramatic, but I don’t think there really was another way to bring closure to the families. The characters were flawed, and I was sometimes put off by their actions. Despite those things, Red Hook Road was a poignant and well-written novel that I would recommend without hesitation. I love works of fiction that feel real to me. This one sounds fabulous! I’ve never heard of this author – thanks for sharing. Sounds like a great read. .-= Kerry @ Entomology of a Bookworm´s last blog ..Goodbye- New York- A Reading List =-. 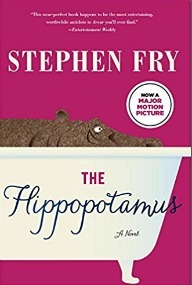 I REALLY want to read this book even though it sounds so tragic and sad! But the premise is so intriguing (and sadly inspired by a real event), so I’ll certainly be seeking it out. Also, I’m glad to hear that it didn’t feel like Waldman was just layering on the grief for the sake of writing a tearjerker, but that the hardships were aimed at something higher. .-= Steph´s last blog ..Of Books and Travel =-. I’m so glad to hear this is good! I have it in my TBR pile, but that doesn’t always mean I’ll get to it, so I like knowing it could be rewarding! 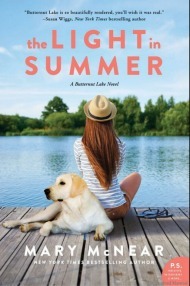 .-= Meg´s last blog ..Book review- ‘Hot Mess- Summer In The City’ by Julie Kraut and Shallon Lester =-. 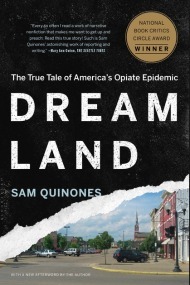 I too love it when a novel seems real … adding this to the wish list. .-= Beth F´s last blog ..Wordless Wednesday 86 =-. It’s good to hear that you enjoyed this book! I have it sitting on my shelf somewhere. after reading your review though, i think i’m going to move it up my tbr and try to get to it soon. .-= dw´s last blog ..Review- Taroko Gorge =-. This sounds fabulous. I love books that you actually want to take time to savor. I’ll definitely be adding this to my list. .-= Jennifer´s last blog ..Review- Heart’s Blood =-. I am SO glad to hear that this book is every bit as great as I was hoping it would be. Now I’m even more anxious to get my hands on a copy! .-= Lisa´s last blog ..Thrity Thursdays or The Space Between Us Readalong =-.